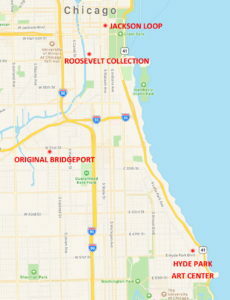 Bridgeport Coffee offers four retail locations, all south of Madison Street (the North-South dividing line) in Chicago. Our original coffeehouse at 31st and Morgan in historic Bridgeport is a 19th century pharmacy with three rooms of seating — and outdoor seating when Chicago’s weather allows it. Our second coffeehouse is located within the Hyde Park Art Center, serving students, faculty, residents and the cultural-minded denizens of Hyde Park. This location also offers seasonal outdoor seating. Our third coffeebar in the South Loop at Roosevelt Collection is directly adjacent to the Showplace Icon movie theatres and world-class shopping. Our Roosevelt Collection location is adjacent to beautifully landscaped outdoor terrace seating for when the Chicago weather gods are smiling. Our coffeehouse in Beverly opened in December 2015 and closed in December 2017. Our latest coffeehouse is Coffeehouse Jackson Loop — just a block away from the world-famous Art Institute of Chicago lions at Michigan Avenue and Jackson Boulevard, only steps from Grant Park, the city’s most exciting landmarks, cultural institutions, and centers of higher learning. Coffeehouse Jackson Loop is exactly at the eastern end of US Route 66. 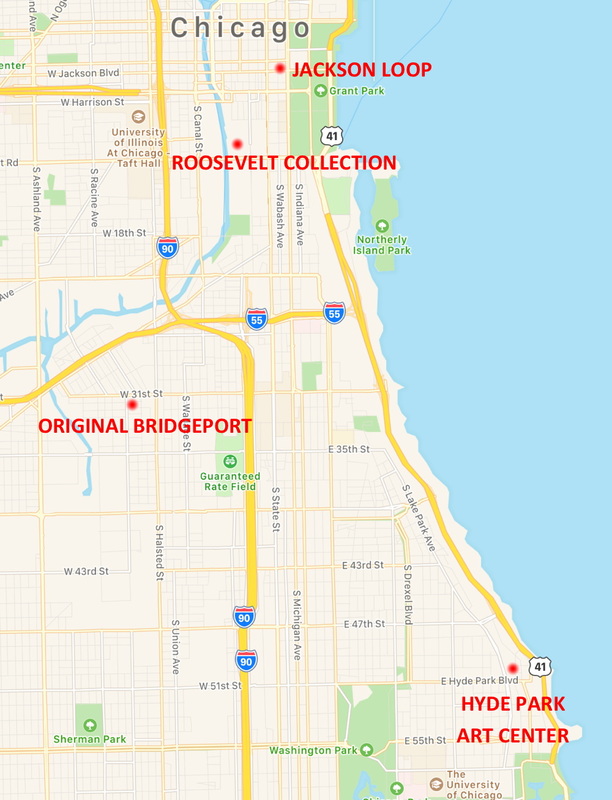 You can also find Bridgeport Coffee roasts at fine retailers throughout Chicagoland. Bridgeport Coffee can also provide fine coffees for your office or workplace.